A few drive-through employees received quite the scare when an invisible driver drove up to their windows. Prankster Magic of Rahat created a costume that resembled the driver's seat of his car. 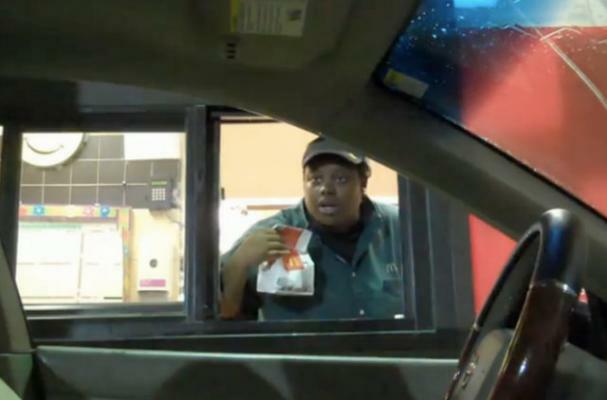 He put it on, drove up to drive-through windows and somehow managed to control his laughter as fast-food employees reacted to a car driving on its own. Magic of Rahat got reactions of shocked laughter, picture-taking and even a few tears. At one point, Rahat even tells one employee that he is a ghost and to just drop the bag of food into the car. Check out the Invisible Driver prank in the video below!